He is an intermediate to intermediate ten years old. Although Mizuno's racket was not interested, I tried buying it because Hayakawa was using it. Feeling It is fairly light, I think that a non-powerful person can not fly at all because the shaft is hard. I think that it can be said that it is a racket specialized for attacks with small shots such as drive, receive, avant garde. On the contrary, it can not hit a heavy ball with smash, and it is difficult to return when it is driven down. So I will not recommend it in singles. We do not recommend it for those who like doubles' guards. It is a perfect racket for those who are good at doubles avant - garde or receive. I thought that shooting avant-garde shots such as drive and push are not easy to beat easily. I thought it was a racket that was not superior to the back guard but not personally fit. Goro	（Experience：６〜１０ years）	It is easy to strike and has few disadvantages. The shot feeling is very good with the influence of the head heavy, I feel elongation in the ball hitting. It is also a feature that the grip is very familiar to the hand, it is like a part of the hand. I do not slip at all. Slightly light smash is easy to strike. It's easy to walk around, it's a good racket that protects you and protects it. Remarks	（Experience：１１〜２０ years）	Pleasure is when you smash. The Mizuno Caliber VS tour is used now in the game. If anything it is a racket for power hitters. Easy to control and easy to use. When roughly saying, the powerful smash is decided. Even if you use it, you feel good. Dandelion	（Experience：６〜１０ years）	The refreshing feeling when hitting Smash is not hampered! At first, I liked the looking design and I bought it, but I was surprised at the good feeling of using it when I tried it. Unlike the racket I used to date, smash with a good speed is striking a bang bang. 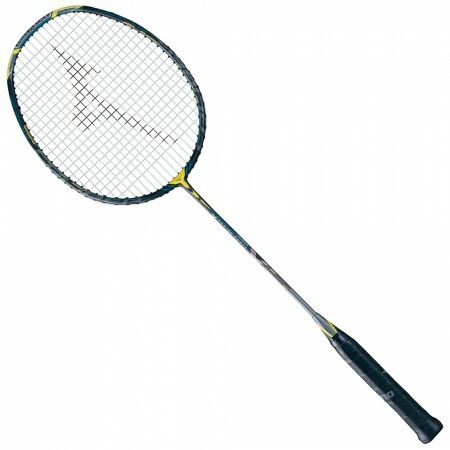 It is a racket that can not be seen with disadvantages because it can control lazy shots freely. The racket is light, and the speed feeling of swinging out the racket is wonderful. A light racquet leads you to avoid fatigue, so you can take advantage of it at the end of the game. If we can swing racquets fast at the second half of the game we are getting tired, we will approach victory.